Home » Blog » Brands have more to gain from influencer marketing than ever before. Here’s why. Brands have more to gain from influencer marketing than ever before. Here’s why. Brands have already gained plenty from leveraging the power of influencer marketing in their business. But there is still one area of huge untapped potential. By now, it seems that every brand has started incorporating influencer marketing into their overall marketing strategy. And with good reason. Influencer marketing is shown to have a much more significant impact on the behaviors and decisions of potential clients and customers than traditional marketing. Why? Instead of a brand just telling people “our product is good,” having an influencer who people respect and admire say that the product is good holds much more weight. Let’s take a step back. What is an influencer? When people throw around the word “influencer,” they are typically referring to a social media influencer, or someone who has created influence through their social media presence. 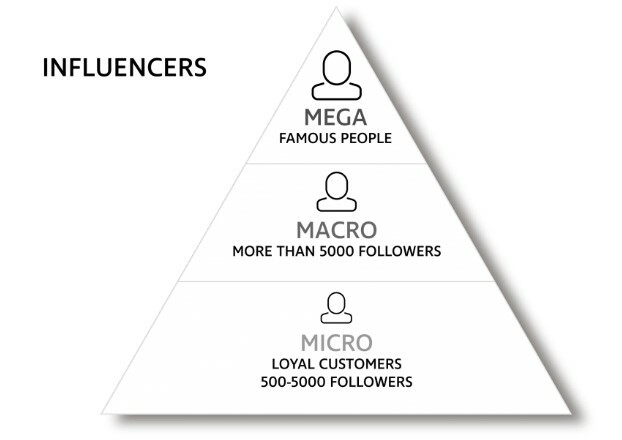 A mega influencer is someone like Kim Kardashian or Taylor Swift. They have a huge global following that reaches into the millions. A macro influencer might be someone who has a fashion blog, who may not be well known globally, but is very well known by those in their circles and niche industry. A micro influencer is you and me- the average person who has an active, healthy social media presence and can count both friends and strangers among their followers. Whether mega, macro or micro, a true influencer is someone who can leverage their influence from their social media accounts, whatever the size. What do brands have to gain from micro influencer marketing? So then, you might wonder, why not reach out directly to Kim Kardashian’s people and try to get her to promote your brand? It would surely boost brand visibility far beyond what you could normally accomplish with traditional marketing. Two reasons. First, because it would be prohibitively expensive for most brands to get Kim Kardashian to do even one Instagram post. Second, because smart brands realize that most of her followers are likely not their ideal target customers. This would be a pretty big waste of money and time, and would probably not result in meaningful sales. Mega influencers have millions of followers, many of which are fake accounts, and the rest of which are tons of random people all around the world. When a brand wants to launch a marketing campaign, they want it to be targeted to people who would be more likely to be interested in their brand for some reason, people who have something to gain. Therefore, clever brands have started to see that the micro influencers are the untapped value. They are both more affordable, more realistic, and have more genuine followers. Brands are likely to reach fewer targets through micro influencers, but the people that they do reach will pay attention to their content, and care. Brands need to reach thousands or millions of micro influencers to be able to harness their impact- each individual micro influencer has a small amount of influence, but thousands of them together can prove to be a very powerful force. So how does a brand reach so many influencers at once? There is simply no way to contact each of them individually and provide all of them with personalized content. So you may have thought, but no longer. Here is where Emaze comes into the picture. Our patented automatic design technology creates complete custom-branded websites for people that are ready to go. 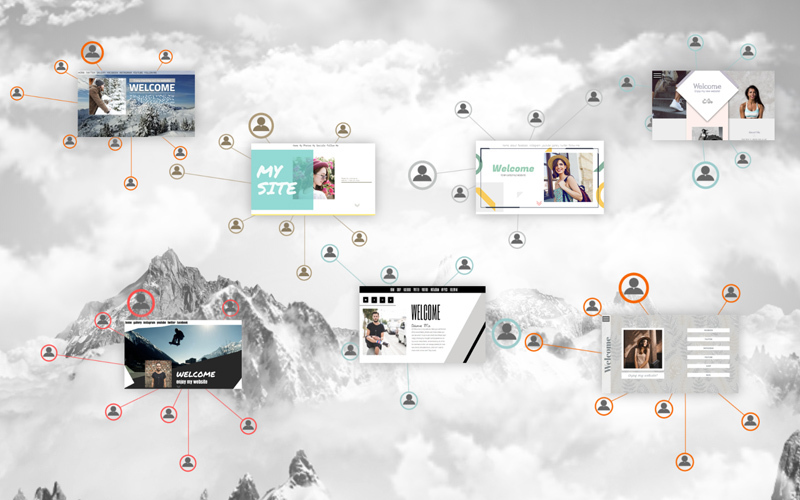 Our Automaze tool lets users choose their favorite designs and generate their own custom branded websites in seconds. Our campaign outreach tools enable brands to reach millions of consumers in just a few clicks, opening up countless new opportunities for connecting with influencers at every level. Here is an example of a branded campaign done with Automaze. 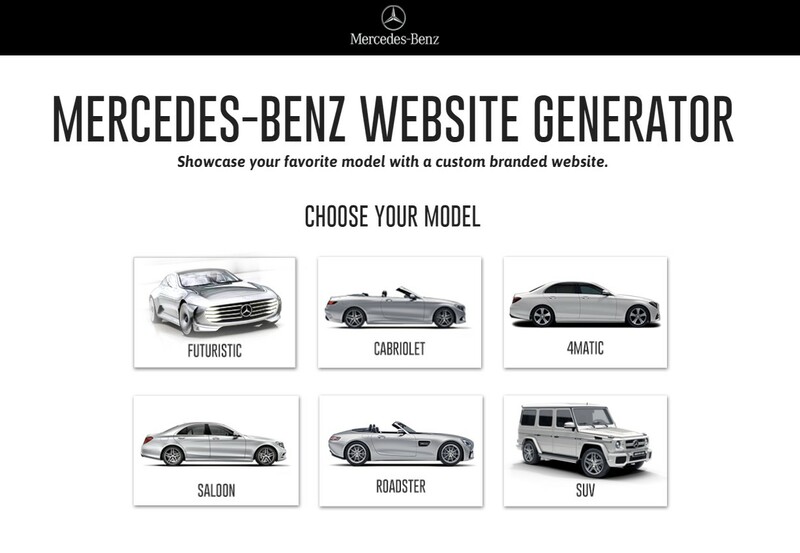 Consumers can choose their favorite vehicle and automatically generate their own custom-branded website complete with their own photos, videos and content, all on the backdrop and designs of their favorite brand and car. Brands know that their fans and followers love their brand- the product, the branding, just everything about it. People love sharing their pride for their favorite brands in both major and more subtle ways, and feeling like they represent their brand. Using a two-pronged approach with the tools Emaze offers, brands can quickly reach their target micro influencers and get the influencers to start promoting their brand. First, brands can create their own unique branded templates to send to the micro influencers who are their fans and followers. Second, the micro influencers who received the branded gift websites will begin to promote and share their new websites organically. How does this accomplish influencer marketing? By gifting fans with their own professionally built websites for free, these micro-influencers now have their own place on the internet that is the home for all of their social media feeds and other content. Their own friends and fans can follow them there to see their latest posts… and while they’re at it, also notice the branding or distribution channel put there by the brand who gifted them the template. This kind of marketing solution is a perfect fit for any brand with an existing devoted fan base (luxury brands, entertainment, sports teams), and also gives a big leg up to every other kind of brand that is still trying to find creative ways to reach consumers and work their way into their hearts. Interested in learning more about the influencer marketing solution Emaze offers? Contact us here or email us at sales@emaze.com.